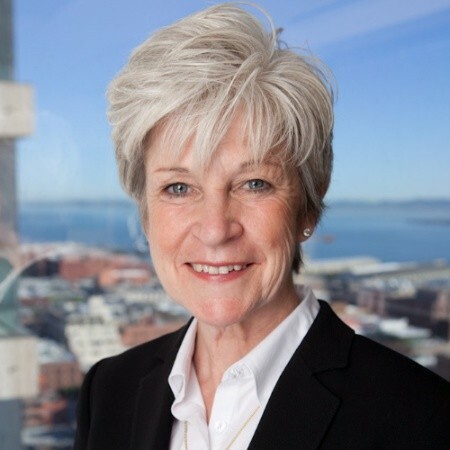 In this edition of Industry Perspectives, Karen Morgan, president and CEO of Dynamic Energy Networks (DEN), explores a new approach to energy-as-a-service. What’s the true value of energy? Of all the factors executives must consider as they guide and protect their organization’s financial condition the role of energy is fundamental. For most, energy not only drives daily functions but supports achievement of the organization’s purpose – in ways that perhaps become most clear only when power is lost. Reliability of power is essential to operational continuity. In fact, resilience, that quality of being “hard to knock out and fast to get back up,” is the essence of energy’s value to any organization. For executive officers looking to deliver energy reliability, the challenges are many. Energy infrastructure has become an attractive target to cyber attackers, be they state-led or individual actors. Physical threats to energy resilience now include a “new normal” of record-breaking severe weather damage. From any cause, the financial costs of downtime can be significant. Predictability of pricing and sustainability are factors causing many executives to reassess the way they approach energy. Many question why they are in the energy producing business at all. Fortunately, new models have emerged to meet these needs. In this article, we’ll explore how a unique synthesis of financial and technology innovations have come together to address the challenges executives face as they seek to reduce risk and ensure energy resilience, sustainability and price predictability. Microgrids can undeniably strengthen energy resilience. 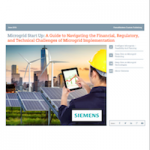 Though, while the appeal of microgrids and sophisticated tools to manage distributed energy resources is clearly beneficial to reliability, the costs and complexities of implementing them present obstacles for many organizations. Few CFOs, no matter how well resourced their organization, can justify taking on tens or hundreds of millions of dollars on a project that would divert capital away from the essential mission of the organization. Formed through the emergence of new strategic partnerships of proven financial and technical partners, the new energy-as-a-service model addresses today’s business leaders’ greatest energy challenges: delivering resilience, environmental sustainability and predictable costs. The new energy-as-a-service model addresses that: bringing expertise and resources previously not available under the old utility and commercial customer paradigm. Following models proven in other mature markets, energy infrastructure platform customers gain a microgrid-based customized solution delivering the reliable energy they need to maintain business continuity amidst growing challenges. While energy resilience has always been a priority for chief executives, the importance they place on environmental sustainability has grown notably in recent years. This commitment is driving a shift to more renewable resources, such as solar and wind generation, a variety of load management approaches including demand response, as well as energy storage. Energy storage, a resource familiar to commercial executives for its ability to provide emergency backup power, is now being used to unlock the true value of renewable resources. Increasingly, commercial customers are using it to avoid the stiff “peak use” penalties that in some cases can comprise much of their total energy costs. By integrating this technology with a mix of distributed energy resources (DER) and a sophisticated microgrid controller, customers can unlock further benefits by transforming energy storage systems from simple backup to a key asset in ensuring reliable, secure and resilient energy. While businesses are turning increasingly to resources like energy storage, recent studies indicate that commercial customers don’t appear to want to own and operate it themselves. This sustainability-through-outsourcing model is gaining traction as customer benefit from the synthesis of financial and technology innovations. The EaaS approach allows businesses to shift energy from a capital expense – one in which they must buy, own, maintain and depreciate assets – to an operational expense, where they secure the energy they need with fewer uncertainties. Prices are known and locked in. The new energy-as-a-service model means the risk of being stuck paying for outdated energy assets is removed. It draws on the proven technique of arrangements such as the power purchase agreement (PPA), energy service agreements (ESA), and long-term concession agreements for larger projects like airports, stadiums and other major venues. The use of long term agreements means the customer secures fixed costs for energy over the course of the contract. It’s a strategy more executives are choosing to minimize risk against unpredictable regulatory climates, fluctuating commodity prices, aging infrastructure and fast-changing technologies. The risk transfer begins with chief financial and strategic officers analyzing their energy goals. What are the sites’ energy demands and challenges in the short and long-term? From there, each solution will be tailored to the organization’s objectives, funding each aspect of the project along the way. Energy done. Mission in focus. The new energy-as-a-service model means the risk of being stuck paying for outdated energy assets is removed. Instead, the customer is in a structured agreement, receiving the services desired at a price point that is known and predictable. The technology used to provide the energy is going to be better, too, since it consists of a diverse, distributed solution built on a variety of best-in-class technologies. Formed through the emergence of new strategic partnerships of proven financial and technical partners, the new energy-as-a-service model addresses today’s business leaders’ greatest energy challenges: delivering resilience, environmental sustainability and predictable costs. When energy becomes an operational expense, organizations can realize the true value of energy: its ability to keep them up and running toward their organizational goals. Energy as a service would be a natural migration for Power Utilities, yet when an incumbent is faced wth change it is normal for strong resistance. Broadband service should have been a normal migraton for communication companies, however, it required a completely new network and thus the Cable Companies came into being. Energy as a Service is already well established, mostly through campus models and more dense environments, yet we still face regulatory issues and swift technology changes that will only be solved when the right financial model emerges.